When Eastern Mennonite Seminary Master of Divinity candidate Jason Wagner presented his capstone integration project this spring, he was introduced by Nathan Carr, a man he’d gotten to know on the job. 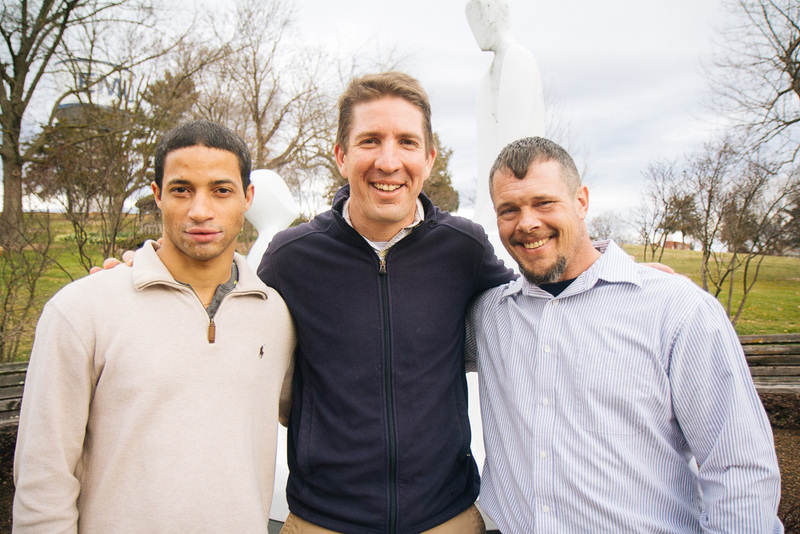 Read about other Master of Divinity capstone projects. Carr met Wagner while serving a jail sentence last year, after experiencing an “overwhelming” feeling of relief on a night he spent crying and praying. “God reached out and spoke to me and touched me and healed me,” Carr said – and the next morning, his pastor suggested he connect with Wagner. Twenty to 30 men crowd into a small classroom to have a time of worship. The men are dressed in orange jumpsuits and come cuffed together in twos from their pods. The visiting ministers and I stand by the door, shaking hands and introducing ourselves to the inmates. One of my practices when leading worship in the jail is to proclaim over the gathered inmates that they are the church. Furthermore, I name that the presence of God is within the jail and that we, together, are a people, brothers in Christ, called to love and serve one another. I also name that in our worship, we experience what we are made for – to commune with God. Jason Wagner serves through Virginia Mennonite Missions in the Rockingham-Harrisonburg Regional Jail. He leads Christian services, offers pastoral care, coordinates visiting ministries, and advocates for active church involvement in jail ministry. For years, Wagner has interacted with people just out of the jail and facing difficulties, in part through his involvement at Harrisonburg’s Our Community Place. In his chaplaincy, Wagner observed the traumagenic nature of incarceration that can result in the ongoing transmission of despair. “The intense conditions of being crammed into a place with other very stressed and hurting people creates the potential for an experience of even deeper pain and disorientation,” he said. But worship, he said – quoting Angola Prison Seminary director John Robins – can be place for inmates to “reinterpret their personal history,” and allows space for incarcerated people to make positive choices as humans rather than as merely navigators of punitive dehumanization. 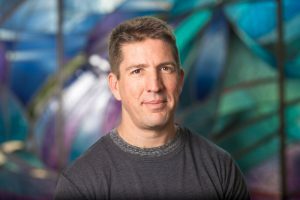 Carr’s eagerness to connect with Wagner is an example of “the deep cry and hunger for the redemptive love of Christ” that Wagner observed as part of “my own jailhouse conversion” during his first time leading music in the jail, he wrote in a 2017 Virginia Mennonite Conference article. I am deeply moved by this ministry. It strikes me as a community for deep connection, grace and healing for those who participate with integrity, whether from behind bars of steel or free to come and go. Thank you, Jason, for caring enough to be present in this way! Thank you for this article about a much-needed ministry. I’m so grateful for Jason Wagner’s efforts to join with Christ in being light in a dark, dark place. I love his statement about “being with, in a robust way” and find it a helpful phrase for all Christ-followers. I’m glad to learn about what is happening in re: prison ministry in Virginia.